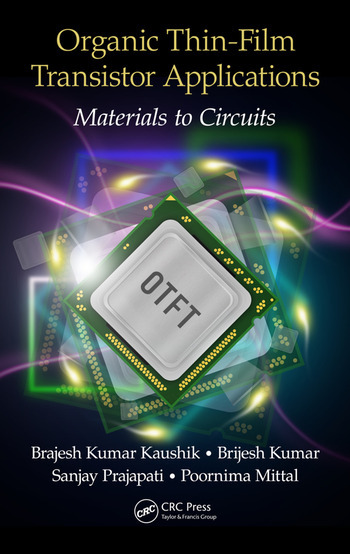 Text provides information about advanced OTFT (Organic thin film transistor) structures, their modeling and extraction of performance parameters, materials of individual layers, their molecular structures, basics of pi-conjugated semiconducting materials and their properties, OTFT charge transport phenomena and fabrication techniques. It includes applications of OTFTs such as single and dual gate OTFT based inverter circuits along with bootstrap techniques, SRAM cell designs based on different material and circuit configurations, light emitting diodes (LEDs). Besides this, application of dual gate OTFT in the logic gate, shift register, Flip-Flop, counter circuits will be included as well. 1. Introduction. Introduction. 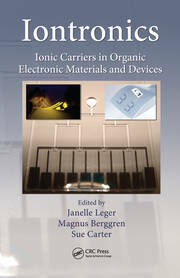 Organic Semiconductor Materials for Organic Devices. Organic Thin-Film Transistors (OTFTs). Future Perspectives. Scope of the Book. 2. 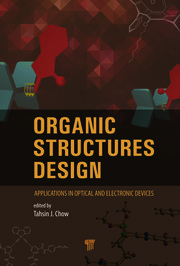 OTFT Parameters, Structures, Models, Materials, Fabrication, and Applications: A Review. Introduction. Parameters of Organic Thin-Film Transistors (OTFTs). OTFT Structures. OTFT Models. Charge Transport in Organic Semiconductors. Materials. Fabrication. Performance-Influencing Factors of OTFTs. Concluding Remarks. 3. Analytical Modeling and Parameter Extraction of Top and Bottom Contact Structures of Organic Thin Film Transistors. Introduction. Device Structure and Contact Effects. Analytical Models of Organic Thin-Film Transistors (OTFTs). Differential Method for Parameter Extraction. Results and Discussion. Concluding Remarks. 4. Impact of Semiconductor and Dielectric Thicknesses on the Performance of Top and Bottom Contact Organic Thin-Film Transistors. Introduction. Process/Device Simulation Tool and Simulation Conditions. Electrical Characteristics and Parameters of Top Contact and Bottom Contact Organic Thin-Film Transistors. Impact of tosc and tox on Performance Parameters of Top Contact and Bottom Contact Organic Thin-Film Transistors. Contact Resistance Extraction. Concluding Remarks. 5. Organic Light-Emitting Transistors. Introduction. Working Principle. Materials for Organic Light-Emitting Transistor (OLET) Layers. Classification of OLETs. 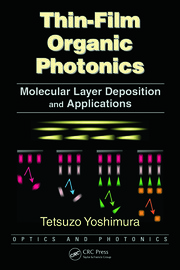 Standard Terms and Properties of Light Emission in Organic Semiconductors. Comparison of Organic Light-Emitting Transistors with Conventional Organic Light-Emitting Diodes. 6. Organic Device Applications. Static and Dynamic Analysis of Organic All-p, Organic Complementary, and Hybrid Complementary Inverter Circuits. Introduction. Analysis of Different p- and n-Type Devices. Analysis of Inverter Circuits with Different TFT Combinations. Results and Discussion. Concluding Remarks. 7. Robust Organic Inverters and NAND/NOR Logic Circuits Based on Single and Dual Gate OTFTs. Introduction. Single and Dual Gate Device Analysis. Diode Load Logic (DLL) and Zero-Vgs Load Logic (ZVLL) Configurations. Organic Inverter Circuits. Improvement in Performance of Organic Dual Gate Inverters. Organic NAND Logic Gate. Organic NOR Logic Gate. Concluding Remarks. 8. Digital Circuit Designs Based on Single and Dual Gate Organic Thin-Film Transistors Using Diode Load Logic and Zero-Vgs Load Logic Configurations. Introduction. Combinational Circuit Designs. Clocked Sequential Circuit Designs Based on SG and DG OTFTs. Concluding Remarks. 9. Static Random Access Memory Cell Design Based on All-p Organic, Hybrid, and Complementary Organic Thin-Film Transistors. Introduction. Static Random Access Memory (SRAM) Cell Configuration. Performance of SRAM Cell with Different Thin-Film Transistor Combinations. Complementary SRAM Cell with p-Type Access Transistors. Concluding Remarks. 10. Applications and Future Perspectives. Organic Device Applications. Future Perspectives. 11. Appendix A: Simulation Examples. 12. Index. Brajesh Kumar Kaushik (SM’13) received the B.Tech. degree in Electronics and Communication Engineering from D.C.R. University of Science and Technology, Murthal, Haryana, in 1994, the M. Tech. degree from Dayalbagh Educational Institute, Agra, India, in 1997, and the Ph.D. degree under AICTE-QIP scheme from Indian Institute of Technology, Roorkee, India, in 2007.He was with Vinytics Peripherals Pvt. Ltd., Delhi, as Research & Development Engineer in Microprocessor, Microcontroller, and DSP processor-based systems. He joined the Department of Electronics and Communication Engineering, G. B. Pant Engineering College, Pauri Garhwal, India, as a Lecturer in July 1998, where later he became an Assistant Professor from May 2005 to May 2006 and an Associate Professor from May 2006 to Dec., 2009. He is currently serving as an Associate Professor in the Department of Electronics and Communication Engineering, Indian Institute of Technology, Roorkee, India. Dr. Kaushik has received many awards and recognitions from International Biographical Center (IBC), Cambridge, etc. His name has been listed in Marquis Who’s Who in Science and Engineering and Marquis Who’s Who in the World, USA. He is a Senior Member of IEEE and his current research interests includes high speed interconnects, low power VLSI design, carbon nanotube-based designs, organic thin film transistor design and modelling, and spintronics-based devices and circuits. 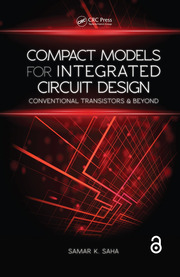 "The book covers both the fundamental aspects of the operating principles of organic electronic devices, as well as their applications in digital circuit design. The book is written in an attractive textbook format with problems at the end of each chapter making the book suitable as a textbook in both undergraduate and graduate level courses. This book will be an excellent addition to university library collections."